There are many chapels throughout the island offering small picturesque churches to have your ceremony. 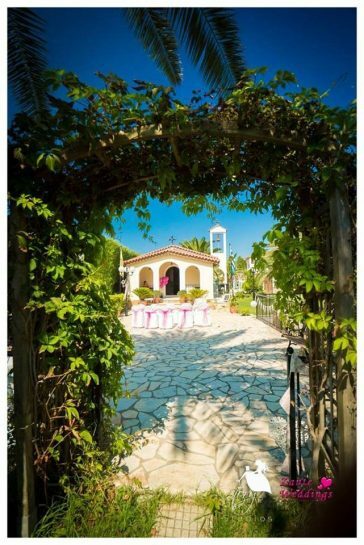 If you’ve always wanted a religious wedding but for different reasons cannot, these settings provide an inspiring religious atmosphere without all the formal preparations. You may want to include Bible scriptures, poems or sayings to create a more intimate ceremony. 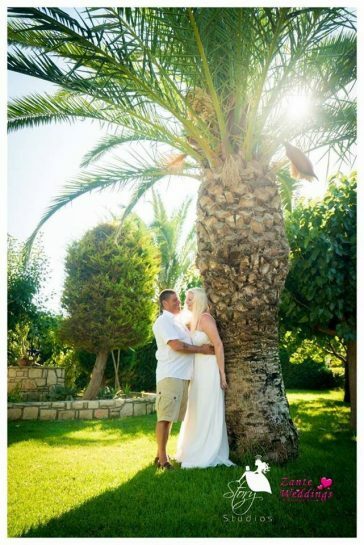 We can also arrange for you to be married by the minister in which the ceremony is conducted in a neutral religious theme. This cute little chapel is part of a 3* hotel located in the nicely kept gardens. There is a spacious area to be able to set up a proper ceremony with arch, chairs and carpet aisles. Receptions are also available around the pool of the hotel. 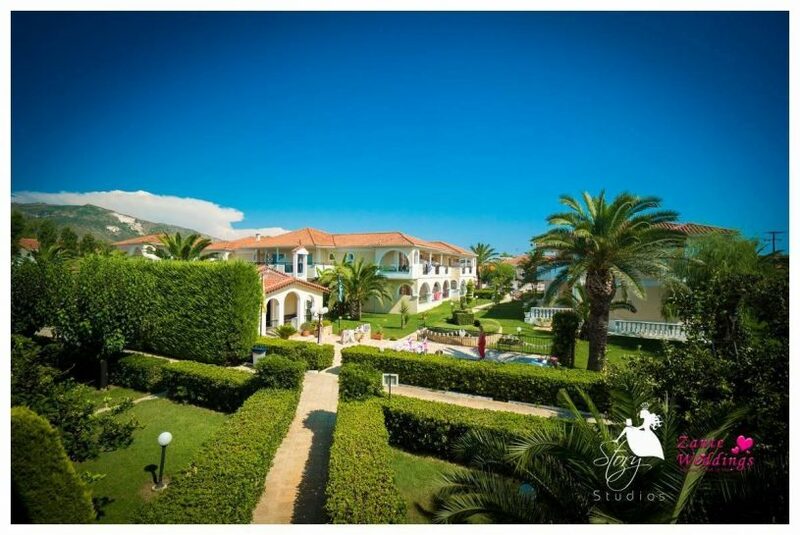 This venue is located in the resort of Tsilivi and part of a superb 5* hotel. The ceremony is set up outside of the chapel as this is then used as a backdrop for your photos. The chapel is two steps below ground level providing a framework around the area sectioning it off for the wedding party. We can have 30 seated persons in this area and more can be set up above level either with chairs or standing. Receptions are also offered on the terrace area overlooking the pool. This big size chapel is located up on a cliff overlooking the seafront. Surrounded by cemented grounds it is able to cater for any size group. Proper wedding set ups are allowed thus providing a romantic overall atmosphere. 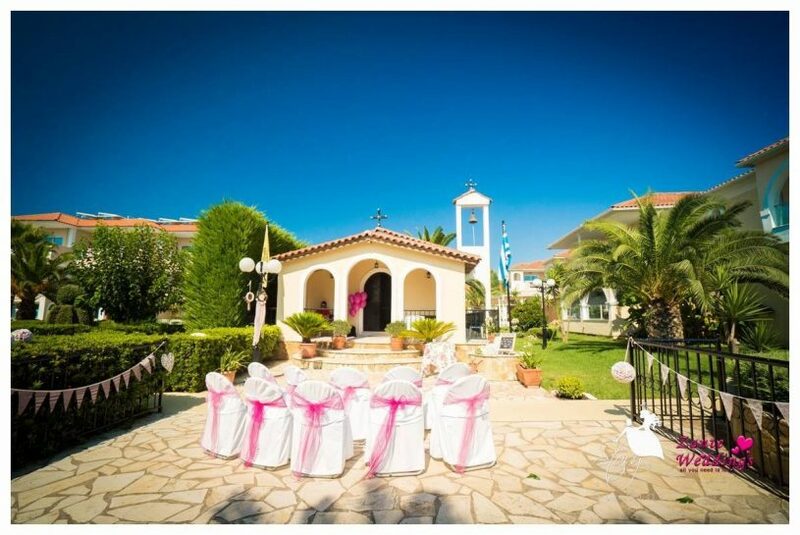 The reception can be organized within walking distance to one of our seagarden tavernas right below.